Vaping Views: Free E-Cigarette Starter Kits? Don't Get Sucked In! 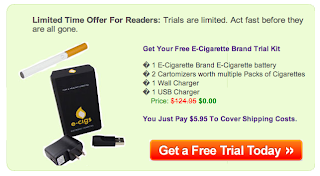 Free E-Cigarette Starter Kits? Don't Get Sucked In! We love free stuff, don’t we? But we also know from experience that nothing comes for free. And yet, I still click on those freebies! That’s exactly what I did. I obviously don’t need a new e-cigarette starter kit (we have plenty of e-cigarette starter kits right here in our inventory!). But I wanted to follow through on this offer to see exactly what would happen. And sure enough, my credit card was only charged $4.95 to cover shipping costs. About a week later, an e-cigarette starter kit with a single battery, 2 cartomizers, and chargers arrived. (FYI, this is basically the same as our “Try Me” E-Cigarette Starter Kits that we charge $34.95 for – only with an extra wall charger). So you get 14 days to try it. Well, I didn’t realize that, and I made the mistake of keeping the kit. And guess what?! I got charged $119.95 exactly two weeks later. Yikes! THAT's not free! Let’s do a quick calculation: $119.95 plus $4.95 equals $124.90, compared to our price of $34.95 (our e-cigarette starter kits ship for free). That’s $90 more! So I call. And I explain that I don’t really understand why I’m being charged such a high price for their single battery e-cigarette starter kit. Their phone banks are clearly very busy, as I can hear lots of other people on the phone in the background. The poor customer rep. explained that I should’ve read the fine print, but offered to put 50% back on my credit card. Less than a month later, a tiny box of cartomizers arrived. And another not-so-tiny charge shows up on my credit card – this time, for $69.90! This morning, I finally checked my credit card to see if they had issued the 50% refund. (Late, I know, but I’ve been busy!) I found out that they had indeed issued a 50% refund – but on the cost of the cartomizers, not on the starter kit. Out of the whopping total of $194.80 they charged me, I was given a $29.98 refund. When I called the second time, I asked why they charged so much for cartomizers. 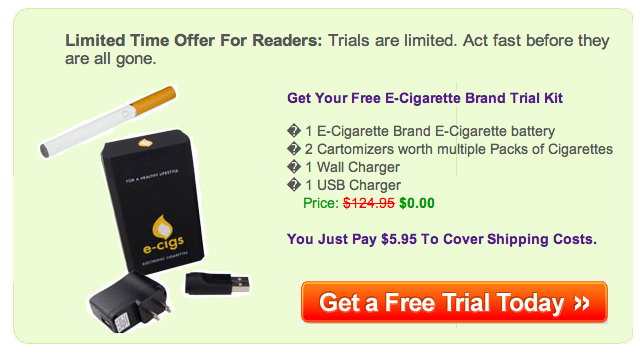 The going rate (see page "Compare E-Cigarette Brands") for a box of cartomizers typically is between $11 and $17. Our cartomizers are due in by the end of March, and our prices will be reasonable, just like our other products: $9.95 + $2.00 shipping for one box, and $8.95 + $2 shipping for two or more boxes (with the code "Vamp1"). And then he made me a deal that I absolutely CAN refuse: if I buy more than three packs, they’ll drop the price to $39.95 per pack. I forgot to ask about shipping. But let’s just say they’re shipped for free. That’s $119.85 for three packs of cartomizers (the exact same kind we sell at Vaping Vamps), compared to our pricing of $32.85 ($8.95 x 3 + $6 shipping). That’s more than three times the cost!! So the lesson we have to learn once again? And there’s certainly no such thing as a free e-cigarette starter kit! P.S. ALWAYS make sure you read the fine print. 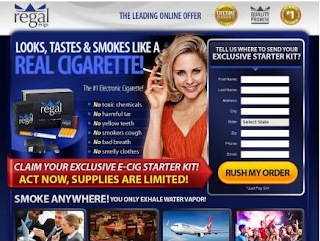 Regal is just one of several e-cigarette brands that are running this type of scam. Google the name of the company with the word scam to see what pops up. Great posting!!! I recently blacklisted Regal on my blog for shockingly high costs. I wasn't aware of their other tricks. Note: E-cig.com and V4L were also blacklisted. So I call. And I explain that I don’t really understand why I’m being charged such a high price for their single battery e-cigarette starter kit.